The Orders feature has been updated to ensure you can make changes to Inventory Orders. The enhancement applies to Transaction Orders where the origin is 'Inventory', AND all Bin to Bin Storage Orders. 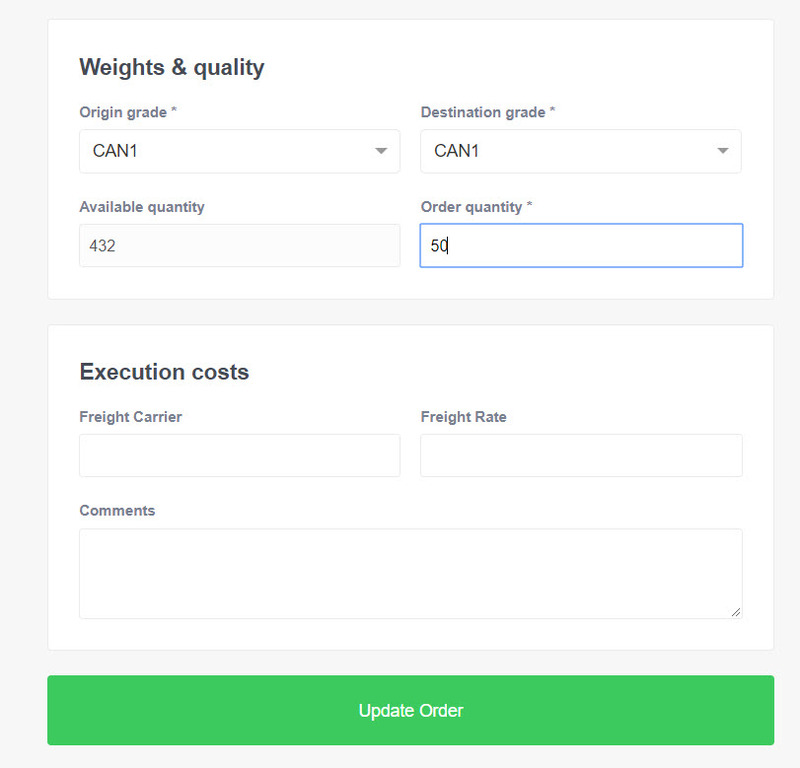 You are now able to edit and update Inventory Orders where the Inventory position has been reduced to below the Order Quantity. Please contact support@agridigital.io if you have any questions and we would be happy to assist.